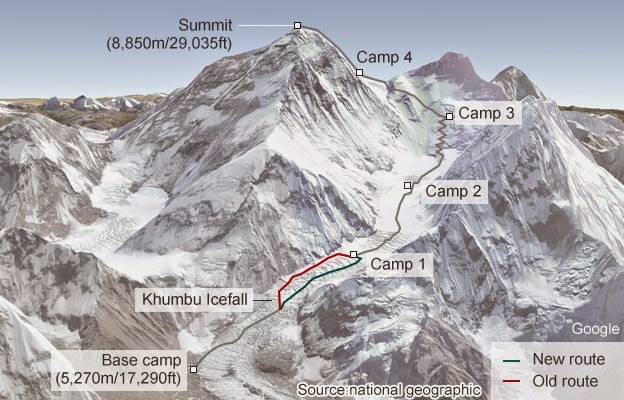 Mt Everest, the mountaineers' final destination has eaten up 16 Sherpa guides during the last year - the worst single loss of life in expedition history. The fatal avalanche has resulted in a boycott by Sherpa climbers who demanded better wages and conditions. This deadly incident has forced the Nepalese government to make a diversion in the present route in vogue since 1990 and has come up a new route to be used from next month onward.